42×21 Carolina Barn with Enclosed Lean-to’s. When investing in a new steel barn or other custom building, many customers want their new unit to blend with the current design of their home or other existing structure. Our boxed-eave roof barns are the easiest and most affordable way to achieve this goal. The panels are installed horizontally, and since they do not have hat channel pieces, they are much easier to assemble. It is recommended that you have this roof style if you live in an area that may experience some moderate winds and precipitation. We understand the needs of farmers are constantly evolving, each task as important as the one before, and rebuilding or adding onto an existing barn can be very costly. That’s why we have designed our A-frame style Carolina barns to be versatile, affordable, and long-lasting. Roof Styles – Along with our A-frame roof style, we offer two other styles to choose from: regular and vertical. Regular roofs are our most economical option. A regular roof has horizontal panels and is good for areas that do not experience high winds or heavy rain and snow loads. Vertical Roof – The vertical roof is our top-selling, most popular option offered. It has been manufactured with a hat channel, ridge caps, and vertical. While this roof can withstand various weather conditions, it is recommended for areas that experience high winds and heavy rain or snow loads. Garage Doors – Depending on the size and style of your structure, you can have one or more garage doors installed. Or if you’d like, you can opt for just our frame-outs. Windows – Natural lighting is always a good choice, no matter what you intend to do with your barn. Our standard window size is 30”x30”; however, depending on your location, you can also customize the size of your windows. Colors – Up to 18 available color options (varying by location), free of charge. We also provide a two-tone (wainscot) option, our deluxe package. Warranty – All our products are backed by a one-year workmanship warranty, ten-year panel warranty against cracking and chipping, and twenty-year rust-through warranty for both 12- and 14-gauge steel framing. If you would like to know more about the features mentioned above, as well as others we haven’t mentioned, just call today to speak with one of our friendly building specialists. One of the many advantages to owning one of our horse barns is their ability to conform to their surroundings, achieving more than one goal at a time. When you do business with us at Carport Central, we will never ask you to compromise on your needs or budget. With a variety of metal buildings such as ours, we can guarantee you’ll find the perfect building! Are you in need of a place to store your agricultural equipment from the weather? No problem, you can do more than that! Easily store your trucks, trailers, and any machinery under the center section and your lawn equipment, small cars, or feed under the lean-tos. Some horse owners who have purchased a horse barn from us have enclosed the barn as a riding arena with stables set along the inside walls. If you do this, you could section off one of the interior corners for a tack room as well. When it comes to our A-frame style horse barns, the possibilities are endless! Durability – Unlike their wooden counterparts, steel structures are not susceptible to rotting, leaking, cracking, or termite and other critter infestations. Due to this, they can also better withstand the test of time. Maintenance – Steel barns are virtually maintenance free! Metal is much easier to clean and since the color is infused during manufacturing, you won’t have to worry about your paint peeling or fading over time. Flexible design – Agricultural needs are always changing, and our steel structures can easily adapt to those changes. There are a few factors that will affect the pricing of you barn: size, location, manufacturer, and chosen customization options. We work with a number of local manufacturers across the country, all of them providing us with their individual pricing sheets. Once all these factors have been taken into consideration, we will use the correct pricing sheet to finalize your steel barn’s price. While all our steel structures can be customized, the possibilities for metal horse barns are much greater. There are no standard sizes or prices for horse barns, as they have a wide array of potential designs. 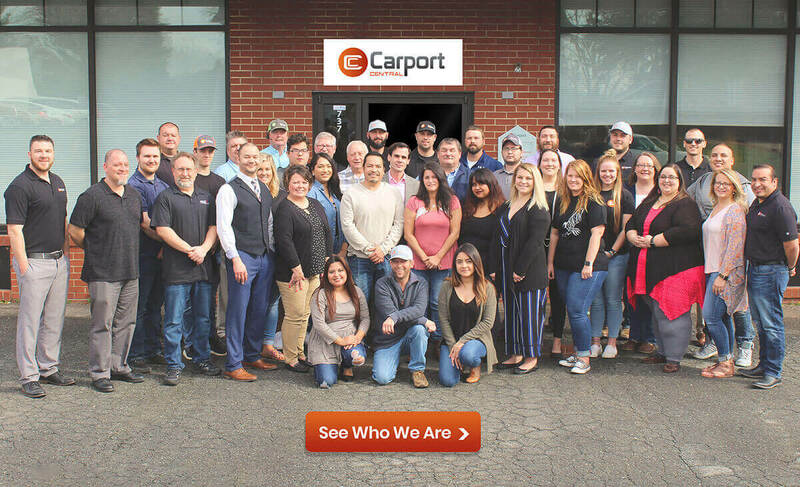 Here at Carport Central, we prioritize our customers above everything else. Customer satisfaction is what we aim to achieve with our high-quality products and excellent service. We have passion for what we do and a drive for success that keeps up going day by day, pushing ahead of other companies in this industry. Not only do we offer a wide variety of products and customization options to choose from, but all of this offered at an exceptional price. Oh, and did we mention that all of this can be matched to your budget? Have questions or concerns about our products or services? Not a problem! Our friendly building specialists are always ready to help you in every way they possibly can. If you’re in the market for a high-quality, reliable, durable, AND affordable custom metal structure, give us a call at (844) 860-4950 to get started. We would love to help!